Does Your Smile Need Dentures? In our last blog, we talked about the importance of addressing tooth loss. In today’s, we’re going to focus on when our Astoria, NY, patients benefit from dentures. What’s the difference between full and partial dentures, and how do we ensure they look natural? True or False: We custom-make your prosthetics. True or False: They will look natural. True or False: Dentures require care. True or False: Tooth loss impacts overall health. True. We take detailed impressions of your smile, as well as images using intraoral cameras and digital x-rays, which will all be used to design the prosthetic. As a result, the new teeth will fit comfortably and provide secure tooth replacement. A partial denture addresses multiple missing teeth, even if they’re spread out across the arch. A full addresses cases of complete tooth loss. True. Both full and partial dentures will contain a base made from acrylic, which is designed to look like gum tissue. The teeth will made from ceramic or possibly zirconia, strong materials that look natural and blend with the rest of your smile. You will enjoy a prosthetic that looks natural and reflects your facial structure. True. 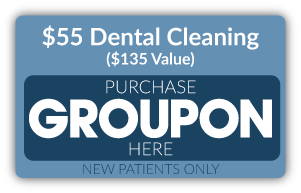 You will need to maintain routine care, just as you would for your natural teeth. For example, soaking them in a special solution to prevent drying or changing shape when you’re not wearing them. We will provide patients with detailed instructions. True. We suggest addressing tooth loss because missing teeth often increase the risk of misalignment, TMJ disorder, and bruxism. Total tooth loss often means difficulty eating, problems speaking clearly, and the loss of jawbone tissue, leading to an older appearance. By wearing a prosthetic, you restore the appearance and function of your smile, while also improving overall oral health. If you have any questions about addressing tooth loss, then contact our team today. 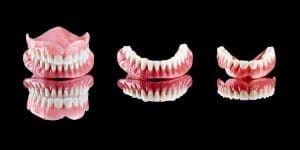 Do You Have Questions About Our Dentures? For patients with advanced tooth loss, we have full and partial tooth replacement options. 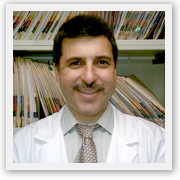 For more information, schedule a consultation with us by calling Jeffrey Leibowitz, DDS, in Astoria, NY, today at 718-728-8320.